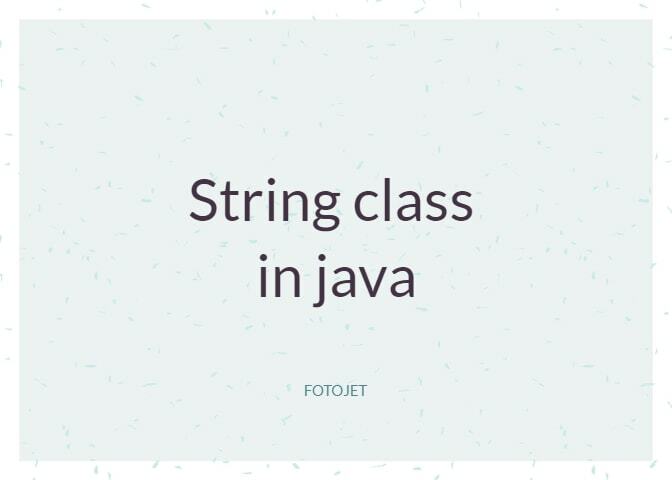 String is one of the most used class in java programing language , let see what makes it very useful class in java as well as its properties. 1) What is String ? ,not a primitive datatype as in C language. 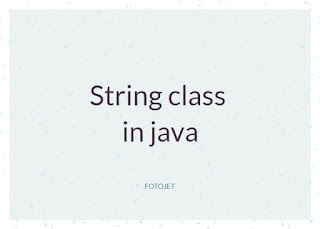 2) How can you say that String is immutable in java ? Logic:- As we are changing the reference of the Str1 to Str1+ "In java" Object so the String str1 is now pointing to different object hows valus is "Program In Java". Difference btw string and string buffer ? String object are cached in string pool and these strings are shared so changing values has risk. if string is mutable then user could have changed the path after logging. Mutable string cause problem in reflection also. Garbage collector is not allowed to access String pool area. How many object will create ? s.concat will create one string constant in scp ".com"
NOTE1-For every string constant , one object will be placed in scp area. NOTE2 - At Runtime if an object is required to placed only in heap area but not in scp area. If you have any problem in understanding this , Please let me know in Comment section.